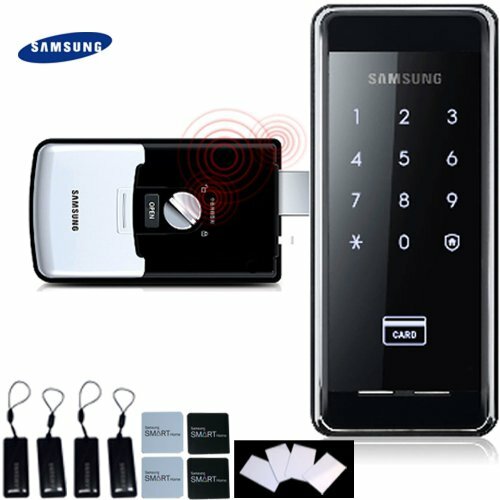 with the electronic operating feature damaged, the door can be opened via manual lever. In the case of physical shocks or repeated errors in gainging authentication for access, alarm is sounded to reduce the intrusion accidnts. to prevent intrusion when you are going out, this feature sounds alarm if the doorlock is operated inside the home. You do not have to worry anymore about forgetting to lock the door as the door locks automatically as soon as it is closed. Good thickness of the door is between 32mm and 50mm. If thickness of the door is over 50mm, you need special bolts.